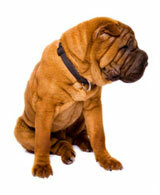 Home > Articles & Consumer Guides > Pet Loss > Did You Feed Your Deceased Pet Today? I'll never forget the day I came home from work after my dog, Artie, died the week before. I knew he was gone. I really did. But as soon as I set my car keys down, I reached for the container of Artie's favorite treats and shook them – a sound that usually made him come running, whether he was sprawled out on the couch or sleeping in my bed upstairs. Of course, he wasn't there. He wouldn't be. I looked at the treats and just stared at the cartoon beagle on the container, unable to do anything else. In a weird way, I felt like I'd just lost him all over again. It's amazing how the little habits and routines we establish with our pets may carry on after they're gone. Artie was such a big part of my life, and I never really realized how much of my day revolved around him – filling his food and water bowls, playing fetch with him, petting him, or even just adoring him as he settled next to me on the sofa when I watched TV. Even months after his death, I half expected him to be waiting patiently at the door when I came home in the evenings or sitting on my nightstand in the morning. Even now, the house sometimes seems too quiet without the familiar jingle of Artie's tags as he bolted through the hallways. Talk to someone. Just talking about your feelings can sometimes make you feel better. Reach out to friends and family and tell them how you feel. If you don't have anyone to talk to, consider joining a pet loss support group or participating in an online pet loss forum. You'll connect with other people who know just how you feel. Memorialize your pet. Some people feel a sense of closure after they do something to honor their deceased pet's memory. A pet memorial service can be a meaningful way to celebrate your pet's memory – or you can do something less formal, like planting a tree, volunteering at a local animal shelter, posting a pet memorial video on the Internet or even purchasing a pet memorial. Take care of yourself. It's natural to feel down or depressed after the loss of a pet, but it's important to keep yourself healthy. Eat right, exercise, and try to get plenty of sleep – these things sound trivial, but they can go a long way towards keeping yourself physically and mentally healthy. And don't hold your feelings in: Let yourself cry if you need to. Keep yourself busy. Go on a walk, read, join a club, visit friends, or start a project. Life without your pet is lonely, but coping with the loss is a little easier if you have other activities to fill your time. Don't rush into getting a new pet. Give yourself some time to heal before making any decisions about adopting a new pet. You'll know when you're ready to welcome a new animal into your life – don't let anyone pressure you into a decision before you're ready. When the time comes to think about a new pet, make sure that everyone in your family feels okay about the decision. It may be weeks or even months before you stop automatically reaching for the food bowl or your pet's favorite toy. Your pet was an important part of your life, and it's normal to feel sad or lonely after he passes away. Remember that moving on doesn't mean forgetting – the good times you had with your pet will live on in your memory. Your pet may be gone, but he will never be forgotten.